Fence maintenance: Without regular maintenance, damaged fence panels & posts not only look bad, they can weaken your entire fence. Whether you need a simple fix or major repairs, MC Fence And Deck repairs all types of fencing. We provide lasting repairs, restoring the full function, security, and beauty of your fence. We can handle any level of damage and any fencing material to ensure that all your needs are met. To request an on-site inspection and get a free quote for damaged fence repair, call us at 1-844-385-9264 today! We proudly provide fencing repair throughout Virginia, including Ashburn, Lincoln, Sterling and surrounding areas. The homeowner called and requested a gate repair on his 11 year old fence. We sent a service Tech out to the home the very next day. Our service tech provided a solution for the gate repair and a price on the spot. Our M.C. Fence Service tech did the job right there on the spot in two hours. The client got his fence repaired for an affordable price in a matter of hours- call today to find out how we can help! "Can't remember but glad I did." "Honestly, because you called me back and turned around an..."
"Great job I am very happy with our new fence." "The Fence Looks great! The installers were so nice..."
When repairing your fence, we utilize existing materials as much as possible. We will fix or replace the damaged parts of your fence, resulting in a fence that looks as good as new, without the expense or hassle of a total fence replacement. If your fence has been damaged by high winds, hail, torrential rains, vehicle impact, fallen trees, and branches, or termites, or is simply showing significant wear and tear, we can help. Wood fences can rot over time, vinyl fences can crack or dent, and rust is common with chain link and wrought iron fences. No matter what type of fence you have, we can handle all the necessary repairs to restore your fence to perfect condition. 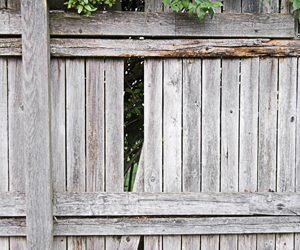 Our industry-leading service program ensures that you get the best repairs for your fence. We were one of the first fence companies in the country to have a fully staffed service department. In fact, we can even complete some repairs on the spot the same day! Contact us for your free repair quote today! Contact MC Fence And Deck to schedule your on-site inspection today! Our specialists will evaluate the damage and provide a free estimate for your fence repair job. We are your trusted fence company in Purcellville, Aldie, Leesburg, Dhs, Dulles, Hamilton, Chantilly and surrounding areas.